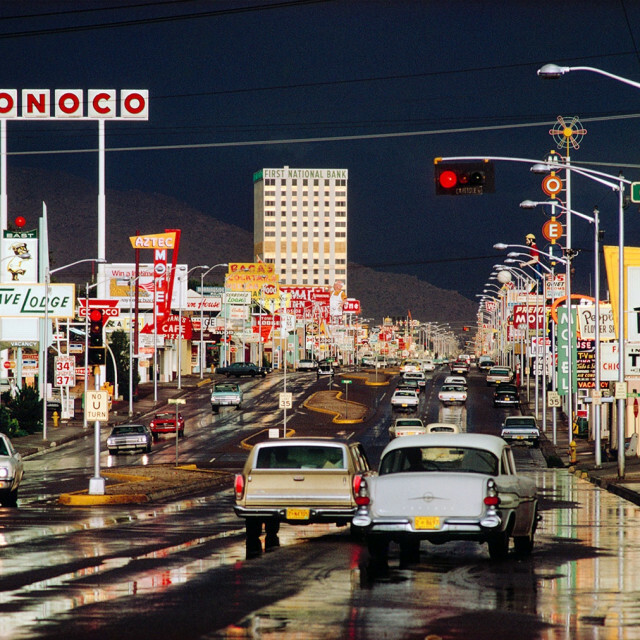 Ernst Haas (1921–1986) is acclaimed as one of the most celebrated and influential photographers of the 20th century and considered one of the pioneers of color photography. Haas was born in Vienna in 1921, and took up photography after the war. His early work on Austrian returning prisoners of war brought him to the attention of LIFE magazine. He declined a job offer as staff photographer in order to keep his independence. At the invitation of Robert Capa, Haas joined Magnum in 1949, developing close associations with Capa, Henri Cartier-Bresson, and Werner Bishof. Ernst Haas received the Hasselblad award in 1986, the year of his death. Haas has continued to be the subject of museum exhibitions and publications such as Ernst Haas, Color Photography (1989), Ernst Haas in Black and White (1992), and Color Correction (2011). The Ernst Haas Studio, located in New York, continues to manage Haas's legacy, aiding researchers and overseeing all projects related to his work. 1999 Contour and Colour: Ernst Haas an Exhibition of Colour Photography, Connoly's, London, U.K.
1998 Only Time will Tell, Michael Hoppen Photography, London, U.K.
Ernst Haas in Black and White, Kathleen Ewing Gallery, Washington, D.C.
Ernst Haas, Silver Visions Gallery, Newton Upper Falls, Mass. 1983-1985 Vienna, Graz, and Linz; Museum des 20. Jahrhunderts, Neue Galerie am Landesmuseum Joanneum und Kunstlerhaus, and Neue Galerie der Stadt Linz. Geschichte der Fotografie in Österreich. (The History of Photography in Austria). 1980-1981 New York, International Center of Photography; Tucson, University of Arizona; The	Minneapolis Institute of Arts; Long Beach, The Art Galleries, California State University; Wilmington, Delaware Art Museum. Photographie als Kunst 1879–1979, Kunst als Photographie 1949–1979, Innsbruck, Linz, Graz, and Vienna; Tiroler Landesmuseum Ferdinandeum, Neue Galerie am Wolfgang Gurlitt Museum, Neue Galerie am Landesmuseum Joanneum, Museum des 20. Jahrhunderts. 1949 “What’s in a Picture?” Homecoming Prisoners of War, Vienna, LIFE, August 8, 1949.